Aardvarks' ESL-IELTS programs recognize that the majority of students, parents and adults already speak multiple languages and are looking for specific English language training to achieve their academic, citizenship and professional goals. At Aardvark, we welcome ESL-IELTS adults, teenagers, families and English for Academic Purpose students that seek to enter local schools, College and University programs. 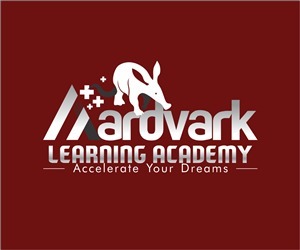 Aardvark specializes in ESL and we guarantee results for students that attend our ESL programs. Ask us about our ESL courses, you'll be glad you did! What do Aardvark adults say about our ESL-IELTS - English for Academic Success? ​Eric: "The best thing about studying at Aardvark is the one-one tutoring and material that is provided for the ESL-IELTS course both in person & online. I would definitely recommend IELTS at Aardvark to others because the quality is second to none. I am more than happy with my Aardvark Instructors (Dr Jeff & Kayo) & IELTS curriculum here. Keng: The best part of the course is that I improved my writing in English a lot! I would recommend this course because it will lead people to success. I feel GREAT about the quality of the tutoring, I am very happy with my Instructor Dr Jeff. ​Weian: "It is a totally customized course, well fit to my work as an Engineer and lifestyle. Effective feedback helped my ESL English language learning. 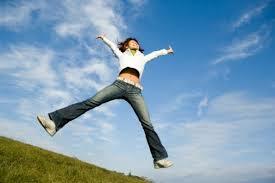 You are not only getting the class but also advice for day to day study of English. The teacher was very positive and responsible, he (Dr Jeff) cares about how much you study and learn. I want to say thank you to my ESL teacher in Chinese!" 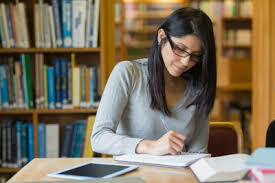 This 5 assignment, 7.5 hours ESL-IELTS Course is designed for ESL Adults to develop academic Reading & Writing skills required to succeed writing essays for the IELTS test & in Bachelors or Masters degree study in Canada. This 15 hour ESL-IELTS Course is designed for ESL Adults to master concepts surrounding academic Reading & Writing skills required to succeed in writing essays for the IELTS test & in Bachelors or Masters degree study in Canada. ​​Note: International ESL students outside of Canada can pay Fees with Bitcoin OR Ripple XRP. Contact us to receive our address. What Will You Learn in 8 Weeks? "Results in 8 Weeks of Study"
Aardvarks ESL-IELTS reading and writing course are the foundations that enable international Adults to succeed on the IELTS test AND at College/ University. Reading and Writing are taught together at Aardvark because these skills are interdependent. 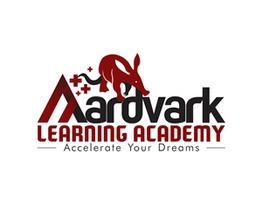 ​Aardvarks ESL-IELTS listening and speaking course are taught together at Aardvark because these skills are interdependent and work closely together to enable ESL-Adults to succeed on the IELTS test. Enhance listening skills to catch over 80% of what is said in a text or in a conversation in ONE SHOT listening. Meet the A+ ESL-IELTS Teaching Team at Aardvark! BIO: The ESL-IELTS course at Aardvark Learning Academy are specifically designed by Dr Jeff to deliver results for ESL-Adults from his 15+ years of experience of teaching ESL at University and Colleges internationally and in Canada. Our testimonials show that Aardvark ESL-Adults get results time & time again. Jeff is teaching in Barrie and Online today. BIO: Kayo has been teaching internationally in Japan, Australia and Canada over the last 8 years. Kayo has the personal experience of achieving IELTS Band 8 in reading, writing, speaking and listening to live and work in Australia. Kayo provides important advice and insight to ESL Adults on how to achieve a high score on the IELTS test. ﻿The 8 week EAS course develops core English language and academic writing skills required for ESL students to do well on academic essays at school, University or College level in Canada, United Kingdom, Australia and the United States. The course also teaches ESL students the core writing skills necessary to succeed as undergraduates at a Canadian College or University. Aardvark Instructors specialize in ESL and we guarantee results on for all full time ESL students. We offer ESL academic English courses for Intermediate (Levels 3-4) and Advanced students (Level 5+) using the "Skills for Success" textbook series. The ESL Conversation & Essential Skills Course is 8 weeks in length and provides solid foundations in English language grammar, reading, speaking and listening skills required to succeed socially and professionally in English. We offer courses for Beginners, Intermediate and Advanced levels. New Canadian families, ESL adults and non native English speaking students Grades 1-12 are always welcome to join our ESL English class at Aardvark. In Barrie Ontario, it is increasingly important to speak English well for Citizenship exams, to find gainful employment and pursue further study at school, College and University level. ​We specialize in ESL for ALL learners and we have experienced English Language Instructors that can help YOU achieve your English language goals. Contact us today to find out how we can help you.